Neighbourhood News: Know Your Vote T.O. ; Phase 1 of Riverside Square Gets Closer to Completion. Thanks to a partnership between StopGap Foundation and LoyaltyOne (corporate partner), Riverside BIA member businesses are benefiting from free custom StopGap ramps. Approximately 10 businesses in Riverside will be getting their new custom ramps in 4-6 weeks time. StopGap is helping make local businesses more accessible to people of all ages and abilities by providing a flexible, barrier free entrance option (i.e. removing the barrier of that first step with a ramp). Later this year, Riverside BIA will also be promoting the City of Toronto’s Commercial Facade Program grants for BIA members, including specific measures for improving accessibility. Switchback Cyclery hosted their annual fundraiser on Sept 15th with a Harvest Ride at Headwater Community Farm. On September 15th local Riverside business and social enterprise Switchback Cyclery hosted a fundraiser ‘harvest’ ride in support of the non-profit cycling store’s continued operation. The day was a resounding success filled with fantastic weather and no shortage of fun! The 2018 harvest ride resulted in Switchback raising in excess of $20,000 – all of which goes back into the store, community, and allows Switchback to keep operating as a not-for-profit social enterprise. Check out all the fun on the Riverside blog! Halloween is Just Around the Corner, Join the Riverside BIA Kiddie Costume Parade! Riverside BIA’s annual Halloween Kiddie Costume Parade is coming up on October 27th, 11:30am-12:30pm. It’s always a fun way to welcome the neighbourhood to your business! October is Small Business Month in Canada – an entire month dedicated to honouring Canadian small businesses and the entrepreneurs that drive them. 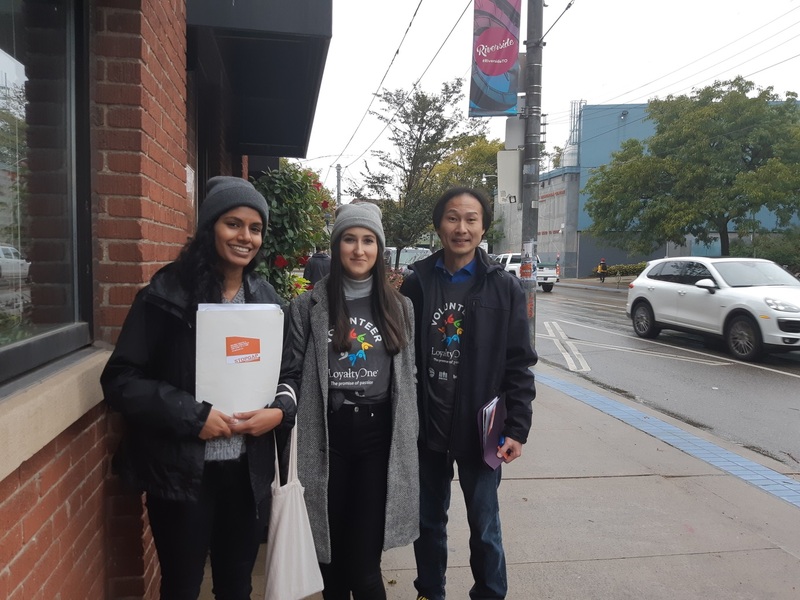 The City of Toronto and its partners, including TD, Microsoft, TruShield Insurance and Vista Print, will be hosting a range of informative events and activities throughout the entire month of October. The goal is to ensure Toronto’s small business community has the resources it needs to continue to grow and thrive. Visit the City’s website for more information, follow our social channels on Twitter or Facebook, follow #SMALLBIZMONTHTO to stay up-to-date. Willing to make compromises/work with the landlord on leasehold improvements for the right space. Know Your Vote T.O. a new election-related civic information tool for Torontonians. Know Your Vote T.O. is a civic information tool developed by the Toronto Public Library. It is not affiliated with the City of Toronto’s Election Services. To find out who’s running to be your City Councillor, enter your address in the box below, or use the map to find and click on your part of the city. On a mobile device? Tap within the ward’s boundaries twice. Developed by Streetcar, the mixed-use project is located at the edge of Queen Street East and East Don Roadway – consisting of four low- and mid-rise buildings. • The project’s phase 1 is scheduled for completion this year. • The Riverside Square will have a public square and a retail space of about 10,000 square metres fronting Queen Street, featuring a variety of shops, cafés, restaurants, and a grocery store.